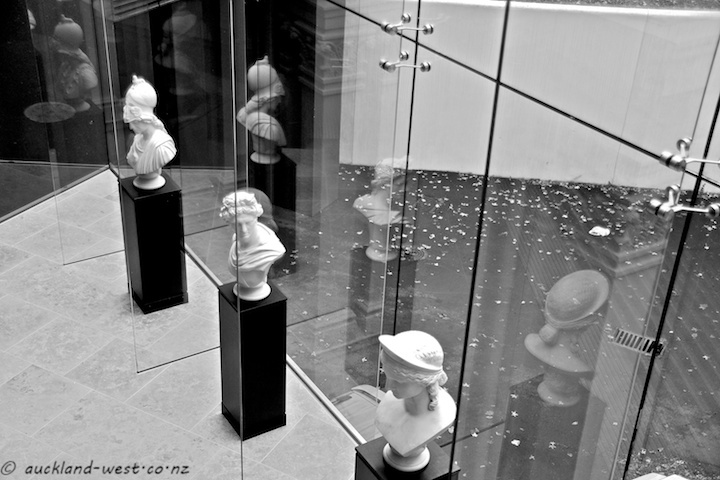 The connection between the old and new wings of the Auckland Art Gallery. The same glass walls produced the reflections in an earlier post. Superb reflection for the day! I love the B&W! Have a great weekend! This is one very photogenic corner of the Gallery! Fine and framed reflections. Wish you a nice weekend!